GrabJobs secured US$1.2M from Business Angels and Family Offices to accelerate its growth in existing markets such as Singapore, Philippines, Thailand and Myanmar. The company aims at developing its proprietary technology by focusing on the job matching technology, a cross-platform posting, and its interview/chat bot technologies. GrabJobs was founded on July 2015 in Singapore by Emmanual Crouy (Co-founder & CEO) and Mark Melo (Co-founder & CCO). 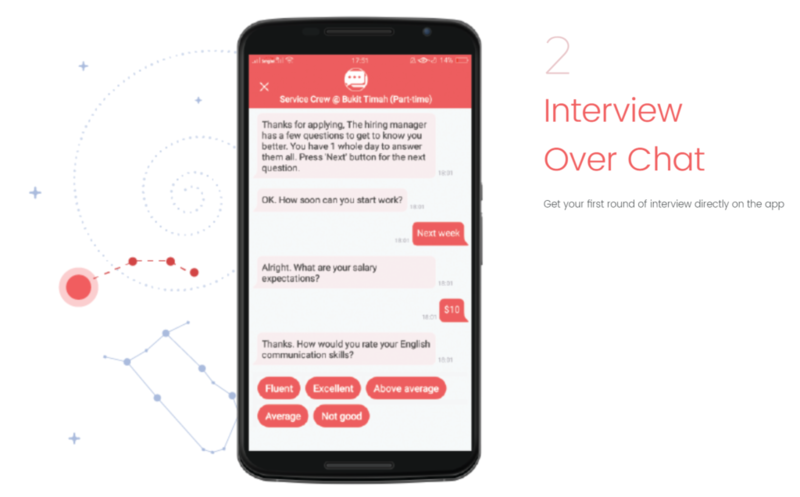 The company operates a chat-bot enabled, mobile first job platform in Southeast Asia. In 2017, GrabJobs approached Vantage Capital to advise their Pre-A round of financing which aimed to secure funds to further develop their core product and accelerate their growth into Southeast Asia. – We evaluated GrabJobs’s core offering and collaborated with the team on drafting their vision and mission. – We assisted in the preparation of best-in-class documentation. – We leveraged our network to build a list of angel investors who have expertise in technology, finance and HR. 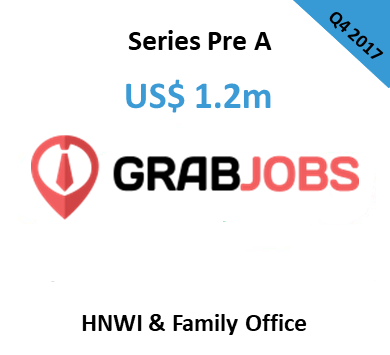 – We proposed to structure the deal using a SAFE Agreement to accommodate potential Venture Capital investors in GrabJobs Series A round. – We defined a detailed execution plan and a clear use of funds. 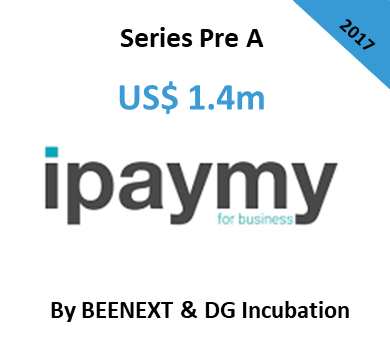 – We built momentum around the fundraising resulting in an oversubscribed round. 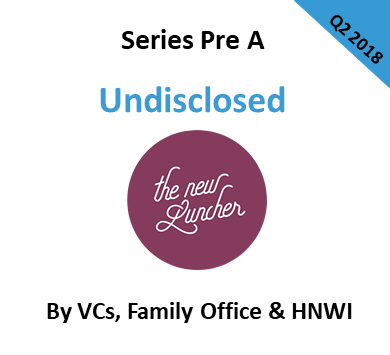 We raised a USD $1.2 million Pre-A Round led by Business Angels and Family Offices. As a result of both our operational and financial support, GrabJobs has enjoyed significant growth in its key metrics post-close. As such, our Managing Director, Jean-Pierre Sedaghat was offered a board seat to continue supporting GrabJobs.